Editor’s Note: This is the third post of “Fantasy Baseball Preview Week!” For more info, click here. When I conceived this idea last year, I had noticed Charlie Blackmon and Curtis Granderson behaving in unusual ways. The former, building upon a breakout 2014 campaign, had cut down his chase rate (O-Swing%), or swing rate on pitches outside the zone, in a big way. Curtis Granderson, who had floundered for a couple of seasons since his power waned, was experiencing a sort of offensive rebirth thanks in part, probably, to a similarly remarkable shift in patience and discernment. Blackmon ultimately improved his chase rate by almost seven percentage points, according to PITCHf/x data. It didn’t really manifest in a profoundly better walk rate, but it’s a peculiar development nonetheless. Depending on whom you ask, Granderson’s chase rate improvement was anywhere from moderately large (Baseball Info Solutions) to negligible (PITCHf/x). Still, in light of a career-best 13.3 percent walk rate, this author has taken notice. Such developments in regard to peripheral plate discipline metrics, rather predictably, play an important role in determining statistics that describe a hitter’s plate discipline, such as strikeout rate (K%) and walk rate (BB%). Indeed, a hitter’s O-Swing% correlates very strongly negatively (r = -0.66) with his walk rate; those fewer swings on non-strikes induce more called balls, bringing the hitter marginally closer to a base on balls. Perhaps the more critical question, therefore, regards the sustainability of such improvements. When assessed in a vacuum, how sustainable are their yearly improvements to their plate discipline peripherals? Moreover, does the magnitude of the improvement (or decline) affect said sustainability? If so, to what degree? Here, I will focus on the former and latter of the group. Like its counterpart, Z-Contact% correlates very strongly negatively (r = -0.83) with a hitter’s strikeouts. Again, this makes sense, given a hitter will likely maximize his offensive production—or, perhaps, minimize his offensive failures—via (solid) contact on pitches in the zone. Together, O-Swing% and Z-Contact% by themselves paint a fairly comprehensive, albeit still simplified and somewhat abstracted, portrait of a hitter’s plate discipline. Courtesy of FanGraphs and PITCHf/x, I use plate discipline data spanning all individual player-seasons of 300 or more plate appearances from 2007 to 2014. Therefore, a hitter qualifies for the study if he recorded consecutive seasons of at least 300 PAs during the time span. …where year represents a vector of fixed effects to control for changes to PITCHf/x measurement quality over the years. Delta (Δ) represents the year-over-year change in O-Swing% or Z-Contact%. t indicates the most recent change in either statistic (say, from 2014 to 2015), whereas t-1 represents the previous change (2013 to 2014). Expressing the variables as differences helps control for the upward bias that occurs when regressing a previous iteration of the dependent variable on itself, aka using a lagged dependent variable or autoregressive (AR) term. While it’s possible a regression that utilizes an AR term would generate similar results, such a specification would artificially inflate the fit of the model and mislead in regard to the power of the regression’s coefficient estimates. I also specify the same variables as a simultaneous quantile regression. This divides the sample up into quantiles of my choosing, according to the magnitudes of the variables, and produces different estimates for each sub-sample. Ideally, it will capture any differences in how sustainable a hitter’s gains or losses are relative to the size of said gains or losses. At my discretion, I chose the fifth, 25th, 50th, 75th and 95th percentiles in an effort to capture a wide variety of changes to plate discipline, including some of the most extreme. A disclaimer: because gains in chase rates are subtractions and, therefore, are inherently negative, they are measured in the lower, rather than higher, percentiles. The linear regression, which produces an adjusted r-squared statistic of 0.15, estimates that the average year-over-year change to a hitter’s chase rate regresses by about 36 percent. In other words, Blackmon’s 31 percent O-Swing, which improved by 6.8 percentage points from 2014 to 2015, could reasonably be expected to decline by 2.4 percentage points during the 2016 season. But Blackmon is not the “average” hitter. Nor are most hitters, for that matter. Thus, it may be unwise, even in an exercise as narrow in scope as this one, to assume all hitters will regress identically. Not all gains and losses are made equal. It’s the quantile regression’s job, therefore, to bin hitters by the magnitudes of these gains and losses in an effort to tease out the possibility that, yes, hitters do not all regress identically. The coefficient estimates vary only slightly throughout the sample, and none of the pseudo r-squared statistics (which I’ll allow UCLA to explain better than I can, for those interested in why it’s “pseudo”) are very robust. The fifth percentile—the bin that captures the largest year-over-year decreases in O-Swing%—produced a much different coefficient estimate as well as a much larger pseudo r-squared. Blackmon, whose 6.8-percentage point improvement to his O-Swing% ranks among the best three percent in the entire sample, may give back as much as 42 percent of those gains in 2016, compared to only one-third for most other hitters. At the end of the day, though, that’s a difference of less than a percentage point. In terms of the impact on plate discipline, we’re likely talking tenths of a percentage point’s difference in a hitter’s walk rate, indistinguishable from statistical noise. Like last time, let’s take the quantile regression, rinse and repeat. In this instance, because more contact is better, the higher percentile accurately represents gains rather than losses. It appears that hitters who improved their Z-Contact% hold onto their gains a little better than those who try to recover their losses. Still, the differences here are arguably negligible, especially in light of still-weak pseudo r-squared statistics. The table below depicts the year-over-year changes and expected 2016 rates of O-Swing% and Z-Contact% for every hitter who qualified for the sample. I also included strikeout and walk rate estimates and compared them to what Steamer projects for each hitter in 2016. There are some stark discrepancies between my haphazard expected walk rate (xBB%) and Steamer’s projected walk rate, a notable one being Bryce Harper. His swing rate on pitches outside the zone dropped fairly dramatically, but so did the number of in-zone pitches he saw in aggregate, likely inciting a compounding effect on his walk rate. The same can be said for the Z-Contact% component to this study, its relationship to expected strikeout rate (xK%) and xK%’s disparities with Steamer’s projections. It’s the model’s shortsightedness in regard to general zone rates, pitch sequencing and other nuances inherent to every plate appearance of every baseball game that render it an inadequate projection tool. But as a standalone measure that demonstrates the importance of these two peripheral metrics to the large picture, it does an adequate job. The art of projecting hitter performance involves many more moving parts than what’s previously described. Even forecasting plate discipline, one of many pieces in a very elaborate puzzle, by itself requires more than just the deconstruction of one statistic. So to assume that, in a vacuum, Z-Contact% and O-Swing% can predict hitter performance is shortsighted. Still, we know now—or, perhaps, we are reminded of what we already knew—that hitters regress to the mean. It’s the simple and unsatisfying answer to a fairly complicated question, but it’s also a simple and unsatisfying result from attempting to answer a complicated question in a simple manner. The previously-specified univariate regression equations demonstrated moderate correlations between the independent and dependent variable, so it’s not that the results are unreliable—they’re just, well, a bit reductive. With that said, the nature of the estimates, and their consistency throughout the distribution of the sample, imply that there’s likely a mixture of skill and “luck” involved. For the smallest changes to plate discipline peripherals, it’s hard to say whether they can be attributed to minor skills changes, statistical noise or a mix of both (the likeliest explanation). The much larger changes, however, seem to be mostly legitimate—hitters retain a large proportion of their gains or losses—but there is still some element of falling back to Earth. 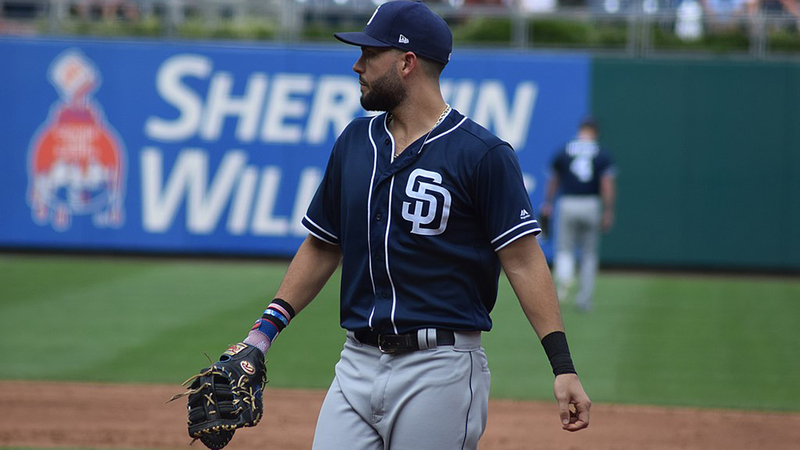 The debate of luck versus skill arises again, but so does the discussion regarding the constant tug-of-war between hitters’ adjustments at the plates and pitchers’ adjustments to their adjustments. Alas, the simplicity of the study limits not only the practical application of its results but the interpretation of them as well. The inclusion of additional variables would surely lend explanatory power to how changes in plate discipline peripherals decay, but then we would creep slowly toward building a projection system—something I’ll leave to the hands and minds of Dan Szymborski of ZiPS and Jared Cross of Steamer. Estimating an AR does not artificially inflate the fit of the model. Actually the first-differenced model you estimate and the AR model are mathematical equivalents, predicting the same result, if the data are not integrated. It is one of the perfect examples of the meaningless nature of R2. The only reason the R2s differ so much is because the models have different specifications of the baseline variance, not because one model is better than the other. Right, yes. What I should have said is it artificially inflates the R-squared, which is commonly used to measure the fit of a model, rather than the actual fit — and, indeed, the models are fundamentally equivalent. You articulated it much better than I did. I appreciate the clarity.